I have great memories of playing with a simple dollhouse growing up. It was a white wooden house with two floors - very similar in shape (although not in scale) to this one. 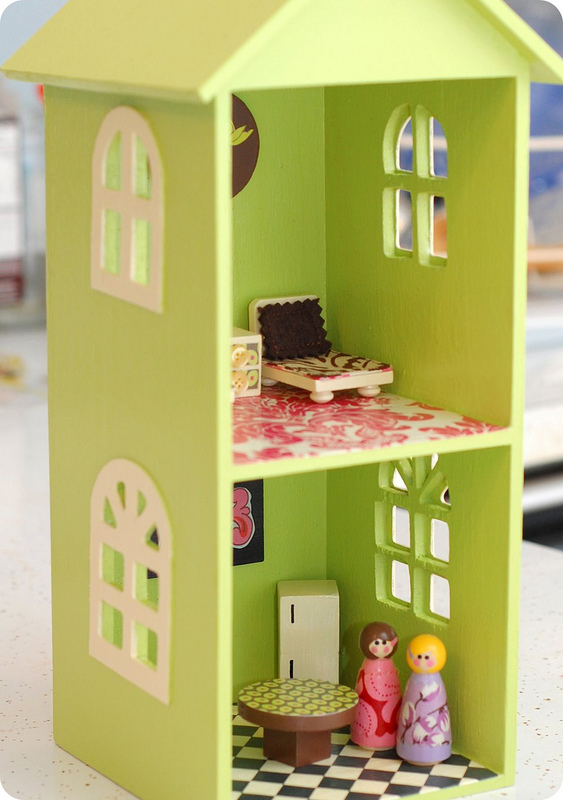 Click the link for a tutorial on how to make this cute little house from a CD case dollhouse. I would spend hours getting the space all set up for my Barbies - washclothes for rugs, pantyhose boxes as the washer and dryer, etc. The actual play with the Barbies was less interesting.